HP G42-357TU laptop is powered by 2.4 GHz Intel Core i3-370M Processor and comes with installed Genuine Windows 7 Home Basic (64-bit) OS @ affordable price. HP G42-357TU has 14.0″ Diagonal High-Definition LED HP Brightview Widescreen Display, Supports up to 8 GB DDR3 memory, 500GB HDD, Mobile Intel HM55 Express Chipset, and comes with integrated Intel (GMA) Graphics Media Accelerator HD Graphics. HP G42-357TU Laptop has 1.3 mega pixels webcam and supports Bluetooth and Wi-Fi data. HP G42-357TU is equipped with HDMI, 3 USB Ports and Altec Lansing Speakers with HD audio support. HP G42-357TU is equipped with 6-cell Lithium-Ion (Li-Ion) battery and comes with one year on site warranty. 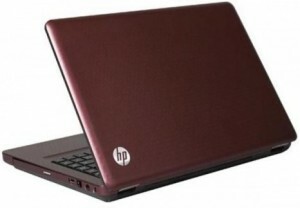 HP G42-357TU Price: HP G42-357TU Carries the Price tag of Rs. 37,500 approx. Letv Announces Decision To Enter India By Early 2016!